After several hours of driving down one of the two-lane asphalt roads that wind through Pakistan’s tribal areas, our kidnappers entered the territory of Baitullah Mehsud, the widely feared leader of the Pakistani Taliban. It was the middle of March in 2009. We had feared that our kidnappers--Afghan Taliban who had abducted us outside Kabul four months earlier--would sell us to the Pakistani group. But instead our car pulled into the parking lot of a large government building or school in the town of Makeen, in South Waziristan. The Pakistani Taliban politely ushered my Afghan Taliban guards, myself, and the Afghan journalist and driver who had been kidnapped with me, into a back room. There they fed us tea, rice, and bread for dinner. Then they transported us to an empty house nearby, which would serve as our new prison. Over the next several days, it became clear to me that our Afghan Taliban abductors had not sold us to the Pakistani Taliban. Instead the two groups were working seamlessly together. When we departed from the area six weeks later for unknown reasons, the coordination between the Afghan Taliban and the Pakistani Taliban was equally flawless. Throughout our captivity, Afghan and Pakistani militants spoke in one voice of their desire to topple the American-backed governments in Afghanistan and Pakistan, and halt what they saw as the oppression of Muslims worldwide. By itself, this anecdote is not significant. But its central lesson--that the tribal areas of Pakistan serve as a fulcrum where Afghan, Pakistani, Arab, and Uzbek militants work together in a broadbased ideological movement--is affirmed by these two new books. Decoding the New Taliban is a valuable collection of scholarly and journalistic analyses, and My Life With the Taliban is the autobiography of a former senior Taliban official. Both books offer important clues that could help to answer some of the most pressing foreign policy questions now confronting the Obama administration. Who are the Taliban? And can they be defeated, or convinced to lay down their arms? In their very different ways, both books demonstrate that the Afghan Taliban have become significantly stronger, broader, and more sophisticated since they were toppled in 2001. They also suggest that the Afghan Taliban leadership is increasingly confident, as its military successes multiply and it continues to enjoy safe havens in Pakistan. And the books leave the reader to conclude that hard-line Afghan Taliban are unlikely to agree to a negotiated peace settlement, unless the surge of thirty thousand additional American troops in Afghanistan coincides with a serious military or political drive by the Pakistani government to pressure the Afghan Taliban on the Pakistani side of the border. While American troops are on their way to Afghanistan, however, Pakistani military officials are refusing to confront the Afghan Taliban inside their borders. For years, Pakistani officials have differentiated between Afghan and Pakistani Taliban groups, insisting that Afghan militants pose no threat to the Pakistani state. They also say that they hope to use the Afghan Taliban as proxies to prevent attempts by India to gain influence in Afghanistan after the Obama administration begins withdrawing American troops from Afghanistan in 2011. As long as they persist in this view, it appears that the Afghan Taliban will continue to enjoy a sanctuary in Pakistan. In January, Pakistani officials rebuffed a request from Defense Secretary Robert Gates that Pakistan launch a military offensive in North Waziristan. The area, which is dominated by an Afghan Taliban faction known as the Haqqani network, is one of the last major Taliban strongholds in the tribal area. These books suggest--as does as my own experience in captivity--that the Pakistani differentiation between the two Talibans is false. The Afghan and Pakistani Taliban work closely together, strengthening and supporting each other in various ways. For this reason, the American surge in Afghanistan appears unlikely to achieve a military victory until the Pakistanis themselves move more aggressively against the Afghan Taliban. From its Pakistani base, the Haqqani network has carried out a series of high-profile attacks in Kabul, including a recent attack on the Central Bank that paralyzed the city. As long as the Haqqanis remain unchallenged in Pakistan, American and Afghan security forces will have a very hard time containing them--let alone defeating them. These books are welcome additions to the rather limited number of studies of the Taliban that scholars, journalists, and regional experts have so far produced. They will help to correct an imbalance in the American focus: so far, Iraqi insurgents have been the subject of more American study and analysis than Afghan insurgents. Antonio Giustozzi’s compilation of essays, articles, and research papers by Western and Afghan experts and Abdul Salam Zaeef’s memoir both help to explain the militant group that is killing young Americans and Afghans at a spiraling rate. They paint a disturbing portrait of how a seemingly archaic and unpopular religious movement managed to regain control of vast swaths of Afghanistan, and may still deliver a serious blow to Barack Obama’s presidency. Giustozzi’s compilation should be read by all experts--and concerned citizens--trying to understand the Taliban. The scholars in this volume have their work cut out for them: they, too, are struggling to penetrate the Taliban’s secretive and reclusive leadership structure. They examine the Taliban’s emergence and behavior in different parts of the country. They show that the Taliban are a loosely affiliated confederation of insurgent groups, not a Western-style hierarchical military organization. The Taliban operate a “franchise” system, in which top leaders based in Pakistan issue broad directives, but most Taliban activities remain controlled by local commanders. Zaeef’s memoir offers valuable insight into the Taliban’s worldview. Imprisoned for three years in Guantánamo Bay and now living in Kabul, Zaeef is considered a relatively moderate Taliban. But still he rails virulently against the United States, accusing it of unfairly invading Afghanistan in 2001 and wantonly killing 25,000 Afghans in aerial bombardments. (While several thousand Afghan civilians have probably been killed in NATO and American air raids, the figure of 25,000 seems grossly exaggerated.) And he sheds very little light on how the Taliban leadership functions. He never addresses the Taliban’s role in allowing Al Qaeda to plan and carry out the terrorist attacks in the United States in 2001. I should add that my own effort to decipher the group failed catastrophically. An attempt to interview a Taliban commander outside Kabul in November 2008 resulted in myself, an Afghan journalist I was working with, and our driver, being taken hostage. The commander who invited us to the interview abducted us, moved us across several hundred miles of Afghanistan, and brought us into the tribal areas of Pakistan. We spent seven months in captivity--primarily in North Waziristan. The Afghan journalist and I escaped in June 2009. The driver returned home five weeks later. Three years earlier Harlan had journeyed to South Asia, after his fiancée broke off their engagement. Over the next sixteen years, he carried out an astonishing run of opportunism and skullduggery. Posing first as a surgeon, Harlan joined the army of the British-controlled East India Company. Using techniques that he had apparently learned from his brother, who was in fact a doctor, and from medical textbooks, he faked his medical knowledge through the Anglo-Burmese War of 1825. During the same campaign in 1838, Harlan claimed to have defeated several Hazara chiefs. He reported that one Hazara leader declared him the “Prince of Ghoree” and all his descendents members of the royal family. Several months later, a British army installed Shujah Shah, Harlan’s former champion, in power and ousted the upstart American, who fancied himself heir to Alexander the Great. Harlan returned to the United States and published a memoir of his exploits in Afghanistan and India. His efforts to introduce the camel as an alternative means of transportation for the U.S. Army failed. A plan to convince the government to import grapes from Afghanistan also failed. Harlan died in San Francisco in 1871. Twenty years later, his Afghan exploits would become the basis for Kipling’s The Man Who Would Be King. In hindsight, Poullada’s more hopeful view of the country seems rather similar to that of many foreign visitors to Kabul and other Afghan cities. They found an urban and educated Afghan elite that was eager to create a modern and moderate society. In many ways, Afghan history has been a cycle of Kabul-based reform movements (royalist, communist, or the current American-backed effort) provoking violent opposition from the country’s conservative rural tribes. The desire for change among Afghans in Kabul and other cities was genuine and widespread when I covered the fall of the Taliban in 2001. The failure of that reform effort and the return of the Taliban will be studied by historians and strategists for years to come. The new studies of Afghanistan are vastly more knowledgeable than the writing that angered Poullada, but they grapple with the same contradictions. They, too, are struck by the ability of a ruthless rural insurgency to thwart reform efforts. In different ways in different provinces, the Taliban have shown a remarkable ability to use new tactics (suicide bombing) and new technology (the Internet) to their advantage. Radio Netherlands reported in 2007 that Taliban commanders discussed an interview with a Dutch commander in the southern province of Oruzgan over their walkie-talkies a mere hour after it had been broadcast. Nathan surmises that the supporters of the group are closely monitoring international reporting on the Taliban and relaying it to the group’s ground commanders. By late 2008, the Taliban had even begun producing propaganda videos in English. Their use of idioms and colloquialisms was so professional that native speakers may have been involved in the Taliban propaganda effort. My own captors showed the same unexpected dexterity with technology. They looked up information online and then twisted it to serve their purposes. The Taliban knew about the American sea captain kidnapped off Somalia last spring. But they insisted that snipers had not shot dead the pirates. Instead, they claimed--falsely--that the American government had secretly paid a $25 million ransom and told me they expected the same in my case. At the same time, the Taliban and their cause have moved effortlessly across national, ethnic, and tribal boundaries. Claudio Franco describes how Pakistan’s tribal areas have served as a base for the Taliban’s resurgence in Afghanistan and in Pakistan. In December 2007, the Taliban commander Baitullah Mehsud was able to create an alliance of Pakistani jihadi groups, which ranged from Sunni hard-liners eager to kill Shia, to Punjabi militants eager to kill Indian forces in Kashmir, to Pashtuns eager to topple American-backed leaders in Kabul and Islamabad. 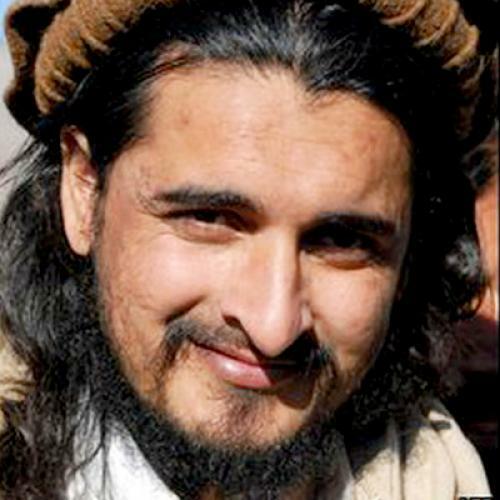 Mehsud, who was killed in an American drone strike in August 2009*, blocked Pakistani government efforts to split the Pakistani Taliban along tribal lines. Pakistani Taliban leaders themselves confirmed their close relationship with the Afghan Taliban. Asked in 2008 if the Pakistani Taliban were close to the Afghan Taliban, Faquir Mohammed, the deputy commander of the Pakistani group, replied “No questions about it.” And he added: “They are the true Muslims. We are their staunch supporters and there is no difference in our beliefs.” Mawlawi Omar, a spokesman for the Pakistani Taliban, went a step farther and stated flatly in an interview that “there is no difference between Al Qaeda and the Taliban. Those fighting in foreign countries are called Al Qaeda while those fighting in Afghanistan and Pakistan are called Taliban. In fact, both are the name of one ideology. The aim and objectives of both organizations is the same.” Franco argues that they should be taken at their word. Today’s Taliban movement--both its Afghan and Pakistani wings--has become Pakistan’s Frankenstein. It is the result of years of missteps by American, Saudi and Pakistani governments, which have been well chronicled by Pakistan and American experts. At the behest of the United States, the Directorate of Inter-Services Intelligence, or ISI, Pakistan’s premier military intelligence service, helped to inculcate a culture of militant Islam among young Afghans and Pakistanis during the anti-Soviet jihad of the 1980s. With the support of American and Saudi intelligence agencies, Arab militants joined the fight as well. Following the withdrawal of Soviet troops from Afghanistan in 1989, however, the United States largely ignored the region. During the 1990s, the ISI had a different strategic objective for its Islamic militants: it used them to counter India. They backed the Afghan Taliban as Pakistani proxies who could prevent India from gaining influence in Afghanistan. At the same time, the ISI supported militant groups that dispatched young Islamists to fight Indian forces in Kashmir. Following the American invasion of Afghanistan in 2001, the Afghan Taliban leader Mullah Omar retreated to the Pakistani city of Quetta, which is located in Baluchistan province several hundred miles south of the tribal areas. From there, he began slowly resurrecting the Afghan Taliban movement. At the same time, Afghan, Uzbek, and Arab militants fled to the tribal areas. The militants began slowly re-organizing themselves in South Waziristan. Paying two to three times the impoverished area’s normal rates, the Uzbeks and the Arabs began renting compounds from local tribesmen who sympathized with their cause or were in search of money and security. Surrounded by high mud-brick walls, the compounds were oases of privacy and protection for conservative Pashtun tribesmen. The high walls prevented strangers from seeing--and dishonoring--Pashtun women, and sheltered families from attacks by rival clans. The presence of foreigners in North and South Waziristan was certainly nothing new. In the 1980s, hundreds of Arab and foreign fighters funded by the United States used the tribal areas as a staging ground for cross-border attacks on Soviet forces in Afghanistan. During and after the anti-Soviet jihad in the 1980s, dozens of Arabs and Uzbeks married local women and settled in the tribal areas. In 2002, local tribesmen in South Waziristan who had fought alongside the Taliban in Afghanistan were aiding the foreigners. And in neighboring North Waziristan, the same dynamic emerged: Jalaluddin Haqqani (the Afghan Taliban tribal leader whose sons would later kidnap me) protected Arabs as well. Jihadism in Pakistan’s tribal areas is an international movement. In Washington, meanwhile, divisions over U.S. policy toward the tribal areas simmered for years. In October 2003, at a White House principals meeting, Zalmay Khalilzad, the newly appointed American ambassador to Afghanistan, and General John Vines, the chief American military commander in Afghanistan, argued that the tribal areas had become a major safe haven for the Taliban. But officials at the State Department and the CIA opposed pressuring Musharraf. They argued that pushing for more from Musharraf, who was the first Pakistani leader to deploy troops to the tribal areas, could topple his government and lead to the end of Pakistani arrests of Al Qaeda leaders in the country’s cities. As a captive in the tribal areas, I saw firsthand evidence of the double game. The Haqqanis ruled Miran Shah, the capital of the North Waziristan tribal area. They strolled the streets of the city, along with Arab and Uzbek militants. Except for supply convoys, Pakistani forces appeared to leave their bases only rarely. Our guards took classes on how to make roadside bombs that would kill Afghan and American soldiers. Their test explosions echoed across Miran Shah’s neighborhoods, but Pakistani forces on nearby bases appeared to take no notice. After years of living with foreign militants in the tribal areas, a new generation of Afghan and Pakistani Taliban came to share their same goal of mounting an international jihad. They viewed both the Afghan and Pakistani governments as their bitter enemies. In the Giustozzi volume, a chapter by Thomas Ruttig, a German expert on Afghanistan, describes the Haqqanis’ rise on both sides of the border. They used a combination of ruthlessness and discipline to create eastern Afghanistan’s most powerful insurgent movement. I had heard such sentiments before. Just like our guards in captivity, Zaeef portrays himself as the victim of unprovoked American aggression. He unilaterally declares the Taliban the true leaders of the region and religion, and ignores the core issue: do the Taliban really represent Afghan culture and Islamic values? Public opinion polls in both Afghanistan and Pakistan show hostility toward the United States, but they also show that Afghans and Pakistanis do not support the Taliban either. Just recently, in January and February, Pakistani military officials adopted a new stance. After years of claiming to have no control of the Afghan Taliban, they privately offered to use their influence to help bring the Haqqanis and other Afghan Taliban to the negotiating table. Pakistani officials said that this reversal was an effort by Pakistan to preserve its influence in Afghanistan following the withdrawal of American troops. What happens next will be telling. If the Pakistanis do bring the Afghan Taliban to the negotiating table, it will give the lie to years of Pakistani protestations and prove that the Pakistani military does have influence over the Afghan Taliban. Even as it received $5 billion in American aid, Pakistan’s military backed the Afghan Taliban as they killed nine hundred American soldiers since 2001. Another scenario is more likely, and arguably more frightening. There is one prospect worse than Pakistani influence over the Afghan Taliban, and that is the Afghan Taliban’s immunity to Pakistani influence. Pakistan’s generals may find that in fact they now do not have the influence over the hard-line Afghan Taliban that they believe. A new generation of Afghan Taliban might remain unwaveringly committed to the jihad that they are waging with their Arab, Uzbek, and Pakistani brethren. They could hunker down in their tribal area strongholds and dare the Pakistani army to dislodge them. What then? As the American troop presence in the region shrinks in 2011 and 2012, the Afghan Taliban could re-emerge with a vengeance. David Rohde is on leave from his job as a reporter for The New York Times to write a book about Afghanistan and Pakistan since 2001. CORRECTION: The piece originally stated that Baitullah Mehsud was killed in 2008.